"These results offer hope for Indian women, more than half of whom suffer from anemia, which can be devastating for mothers and their babies," said Mr. A.R. Nanda, Board Chair of FFHIT. "Simple solutions such as nutrient supplements often fall short. But we have found a cost-effective, holistic approach to solving India's crisis of rural malnutrition." Research conducted early on for the Rajasthan Nutrition Project found that the greater women's' decision-making authority in a household, the greater their food security: 39 percent of women classified as having a high degree of autonomy were food secure, versus only 12 percent of women with low autonomy. "We concluded that any efforts designed to improve food security and nutrition had to aim to improve women's autonomy and decision-making within the household," explains Kathleen Stack, Executive Vice President of Grameen Foundation. "To do so, we built on the strength of women's self-help groups, millions of which exist across the country." Noting that the government should replicate the success, Dr. Arun Panda, Mission Director, National Health Mission, said, "We need to learn from the community. simple and cost-effective solutions can easily be understood, adopted and sustained." "Women gained more decision-making power within the home, and more freedom of movement outside the home," said Saraswathi Rao, CEO of FFHIT. "And with this, they began to change the crops they grew, what they ate and fed their children, how they treated common childhood illnesses like diarrhea, and when and where they sought health care." The number of women accessing the government's Integrated Child Development Services increased by 30 percentage points. Meanwhile, the Maa aur Shishu Swasthya (Mother and Child Health) Program tackled anemia in West Bengal and Jharkhand, where rates have remained unchanged for the past ten years. 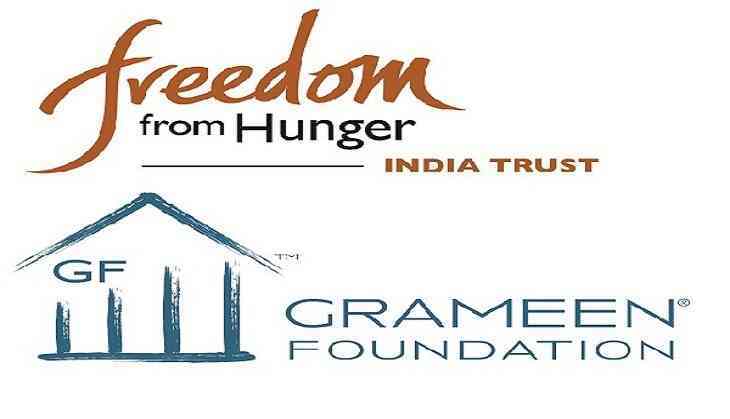 Grameen Foundation, Freedom from Hunger India Trust, and RESULTS Educational Fund brought together two microfinance institutions, Aikyatan Development Society (ADS) and Bandhan to reach 178,000 women. The program delivered anemia education along with financial services to microfinance clients and women's self-help groups. A study following the training showed that consumption of foods high in iron and in vitamin C (to aid iron absorption) improved by up to 35 percentage points.